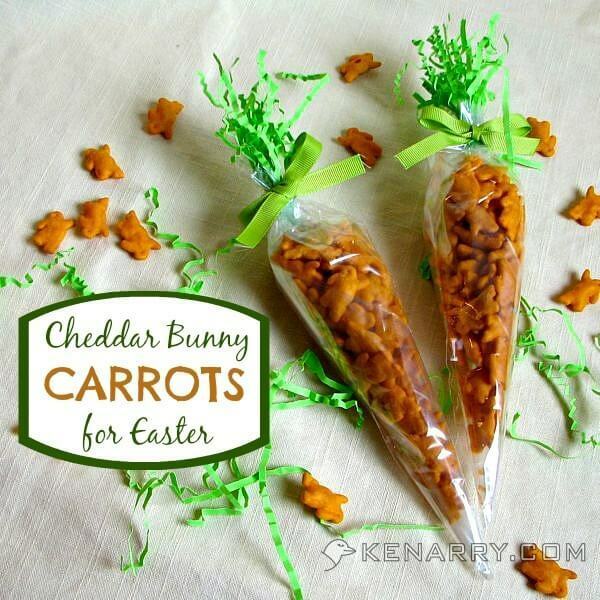 Tired of the usual methods for coloring Easter eggs with food coloring or store-bought dyes? 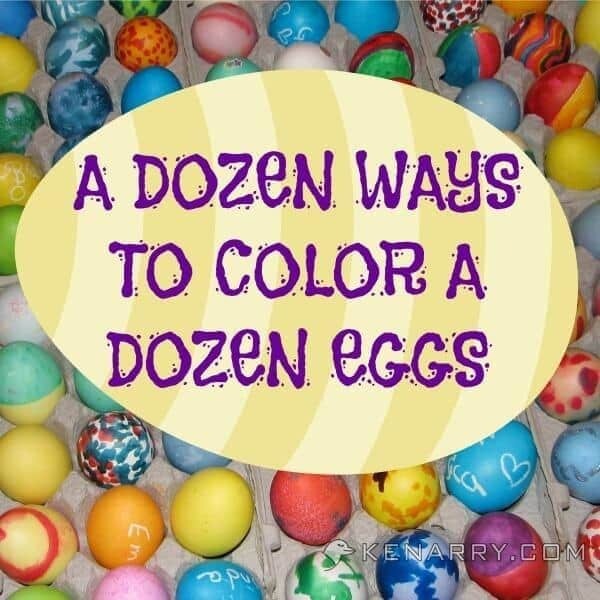 We’ve hunted down a dozen unique and creative ways to color a dozen eggs. Easter is one of my favorite times of the year. I come from a very large family. This is the one time of the year we get together with my aunts, uncles and cousins. My Aunt Ronda and Uncle Bob do an amazing job of making the weekend special and memorable. Aunt Ronda starts hyping it up in January with a full schedule of family traditions. One of those traditions is coloring Easter eggs. We color dozens and dozens of Easter eggs each year. For more years than I can remember, we’ve been coloring our Easter eggs using cotton swabs as daubers to create designs. We also like coloring Easter eggs by dipping them in cups of dye. For this year, I thought it would be fun to come up with a dozen new ways we could color a dozen eggs. 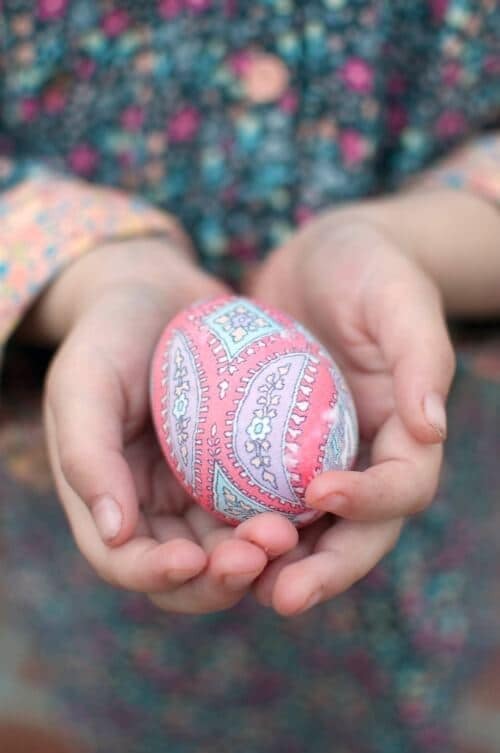 I scoured Pinterest to find the best, most creative ways for coloring Easter eggs. All of the ideas, except one, use hard-boiled eggs. 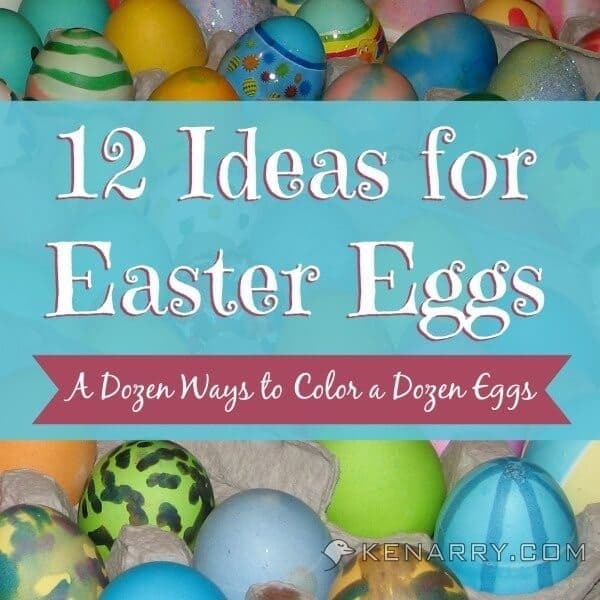 Many of the ways to color a dozen eggs would be easy for toddlers and small children. However, not all of the methods are edible. Keep that in mind, if you’re hoping to turn your colored eggs into deviled eggs on Easter Sunday. There’s always something fun about mixing baking soda and vinegar to see how it reacts. 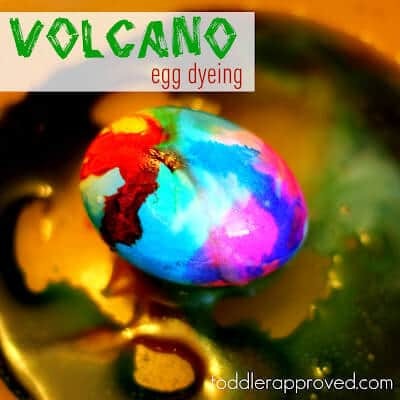 Toddler Approved took this science experiment to the next level by applying it to Easter eggs. Visit their website to see how to do it. 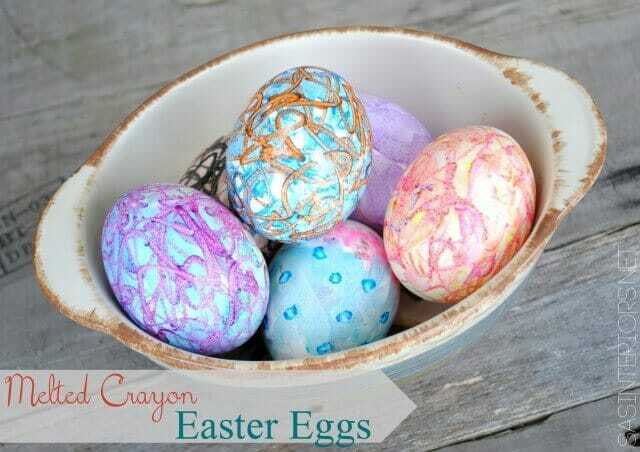 There you’ll also find some fun ideas for Easter eggs after they’ve been dyed. 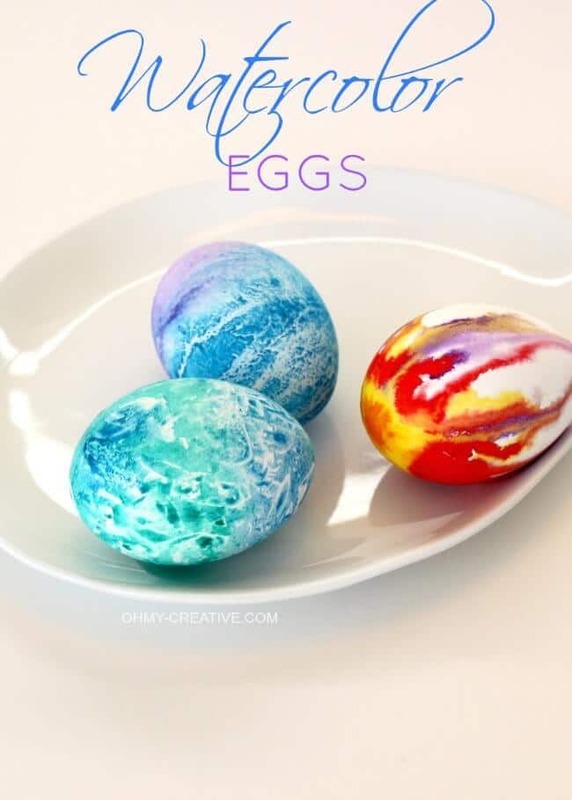 I love the look of tie dye, but never realized you could create that appearance on the hard surface of an egg shell. You’ve got to see how Caroline from Armelle Blog did it. She shared her tutorial as a contributor on Hello Bee. 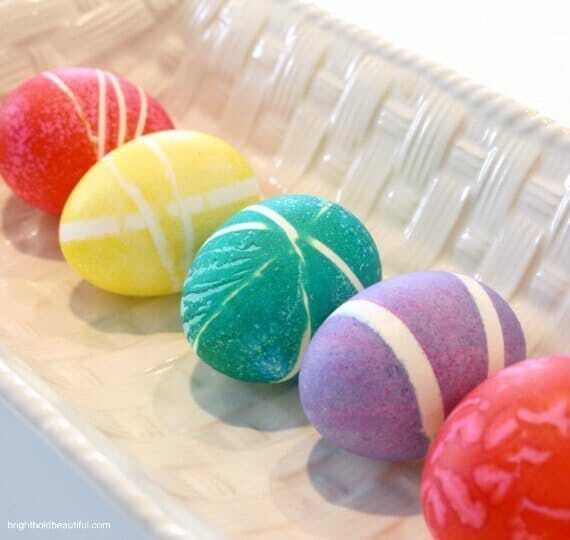 Use rubber bands to get cool stripes and criss cross marks on your Easter eggs. You’ll find this great idea from Laura at Bright, Bold & Beautiful. Be sure to look for her helpful tip to prevent eggs from cracking when you boil them. She also shares her secret to get spotted or speckled eggs. These Watercolor Easter Eggs from Susan at Oh My Creative are some of the prettiest eggs I’ve ever seen. On her website, she shares the tricks behind three different methods for coloring Easter eggs with watercolor paints. Does your husband, father or grandfather have some old silk ties lying around? 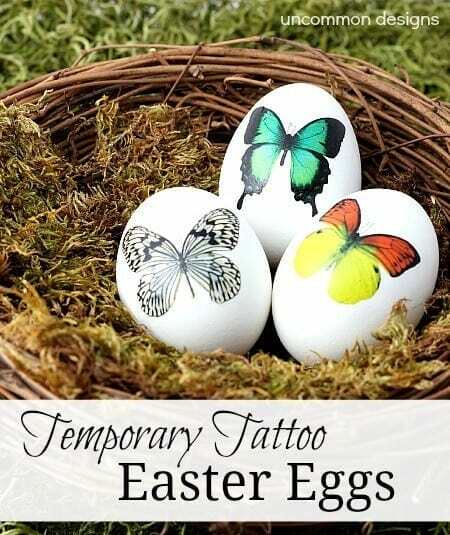 Use them to dye your Easter eggs! Who knew you could do that? It creates beautiful intricate patterns on your Easter eggs. You’ll find a great tutorial with step-by-step instructions on Relish. 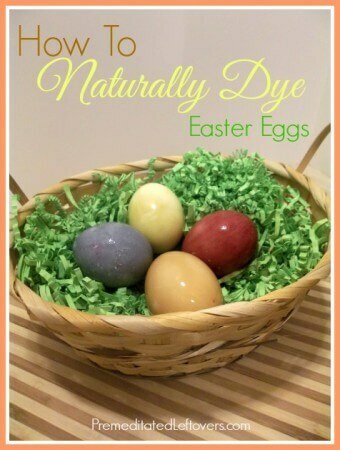 Ever wonder how you can have colorful Easter eggs without using all the chemical store-bought dyes? You’ll love reading how to use natural plant-based dyes on Premeditated Leftovers. Their post is full of great tips and ideas for which fruit, vegetables and plant-based products to use to create colors you’ll love. It seems like it’s a tradition for us to go to church on Easter morning with colored dye stained fingers. If you’d prefer to keep your fingers flesh-colored, try decorating your Easter eggs with paper napkins instead. As of 3/3/2018, the step-by-step instructions are no longer available on Las Recetas de Felicidad. 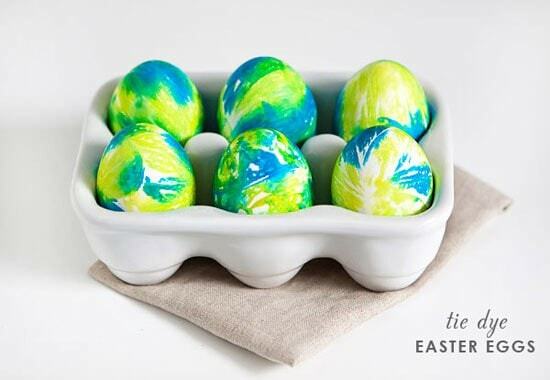 SAS Interiors shares a great idea for creating swirls and fun patterns on Easter eggs using crayons. This is a fun alternative to the usual store-bought dyes or food coloring methods. On their post, you’ll also find helpful instructions on how to boil eggs for Easter egg coloring. 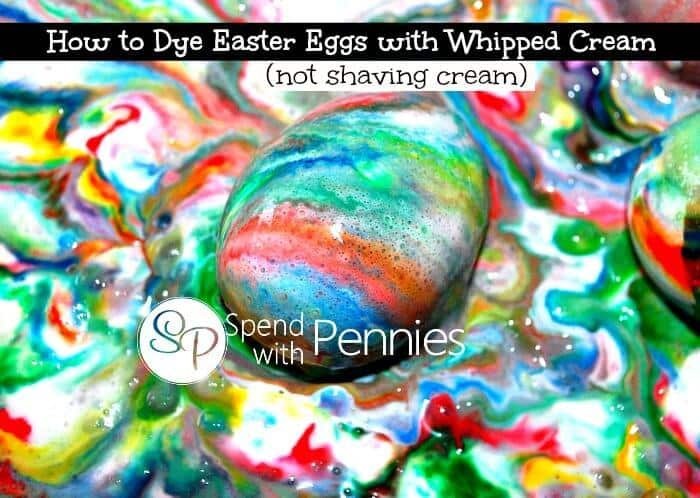 In my search for a dozen ways to color a dozen eggs, I saw several posts using shaving cream to create a swirl effect. While it looked cool, I wasn’t sure the eggs would be edible with all the chemicals found in shaving cream. I was delighted to find this wonderful and safe alternative from Spend with Pennies using whipped cream instead. 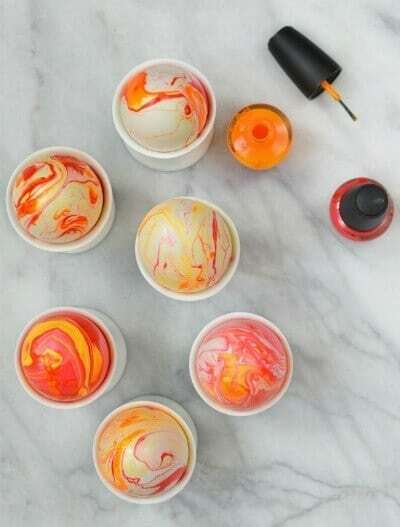 Chanel at Camille Styles teaches how to use nail polish to create beautiful marbleized eggs. This is the one idea on the list of a dozen ways to color a dozen eggs that requires blowing out the egg yolk, rather than hard boiling. Don’t worry, though, Chanel includes a link with instructions to do so. What a great way to use up leftover nail polish once you’ve gotten tired of a color! 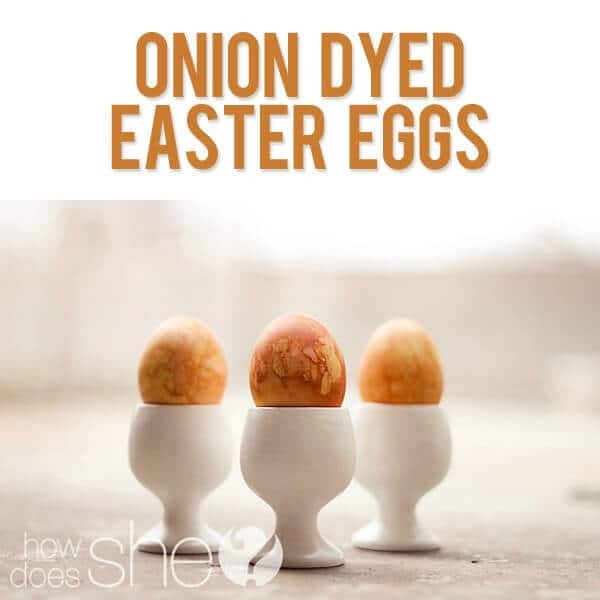 Wrapping eggs in onion skins has got to be one of the coolest methods I found for coloring Easter eggs. HowDoesShe.com gives detailed instructions with photos so you can create these naturally beautiful eggs yourself. Need more ideas for coloring Easter eggs? 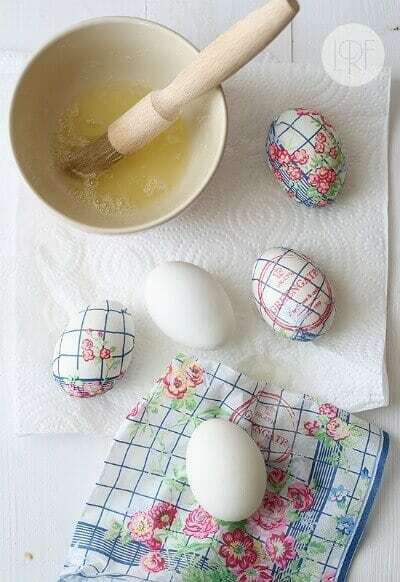 Visit our Pinterest board for countless other eggscellent ways to dye a dozen eggs. If you have a creative idea for coloring Easter eggs you’d like added to the board, please comment below with a link or contact us. We gathered these ideas through our own searches on Pinterest or other online resources. We have made every effort to attribute ideas to their rightful owners and have received their permission to share these ideas, photos and links on our website. I love all the ideas, the ones decorated with paper napkins are so cool! Thanks for sharing this at my Facebook Milestone Link Party :)! I thought that was so unique when I came across it too. I’m so glad they let us share the photo and link. It would be a fun idea to try. Maybe when my boys are bigger? Have a great time trying these ideas, Ashlyn! Glad you enjoyed the round-up of Easter egg coloring ideas. Thanks for including my Watercolor Easter Eggs – I pinned it into a large group board! So many pretty ideas here! You’re very welcome, Susan! Thank YOU so much for pinning it.